Our bodies are indispensable therefore we have to take good care of it. A healthy lifestyle consisting of a healthy diet, adequate rest and regular exercise is very important to fight obesity, prevent risks of heart diseases and to keep ourselves in good shape. Singaporeans are very watchful of their weight and very into the idea of a daily physical exercise. This is why we listed down some of the best fitness centers found in Singapore. 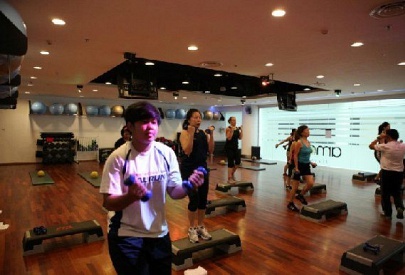 Fitness First is very popular to gym buffs because of their no up-front paying policy for the yearly gym membership. You can pay up the fee monthly by way of GIRO or using a credit card. The personal trainers are very accommodating to new members because they allow two free 30-minute fitness sessions in order for the members to get used to the rigorous work done when training. California Fitness is prominent for their Jackie Chan martial arts classes that are for people who want to copy and learn Jackie Chan’s signature martial arts skills. For those interested, they also have a one-week free pass for guests in order for them to get a firsthand knowledge and experience of the services offered by the fitness center. Amore Fitness is a fitness center specialized for the ladies. It’s a good gym center for women because Amore is concerned with the overall journey of women towards fitness. In this fitness center, women will feel comfortable and confident to work a sweat because the facilities are specialized for their needs. Amore is not only a fitness establishment. It also has a spa that offers body and facial treatments aimed to pamper women and make them feel more confident about themselves. We are truly fortunate to be living in an enviable “City in a Garden.” In fact our country hasn’t failed in living up to its ideal of sustaining a beautiful balance between modern lifestyle and exceptional biodiversity. As such we are abundant with parks, gardens and nature reserves, which leave us utterly in awe of their majestic beauty. And as we are talking about majestic greeneries, the spotlight for now will be focused on a nature park consisting of three waterfront gardens sitting on a total area of 101 hectares of reclaimed land at the heart of the city. This, ladies and gentlemen, is no other than Gardens by the Bay. 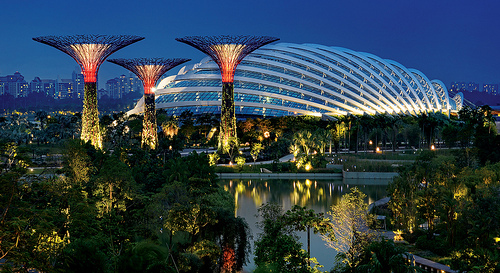 Gardens by the Bay, as already mentioned, is made up of three gardens: Bay South, Bay East and Bay Central. Bay South is the largest of the three while Bay Central acts as the link between the two remaining gardens. This 101-hectare grand nature park boasts many attractions, which surely won’t disappoint you. For starters, they offer you breathtaking mountaintop views at Cloud Forest. This unique conservatory features a one of a kind 35-metre tall man-made mountain, which is covered with different kinds of flora ranging from bewitching orchids, vibrant bromeliads to carnivorous pitcher plants. 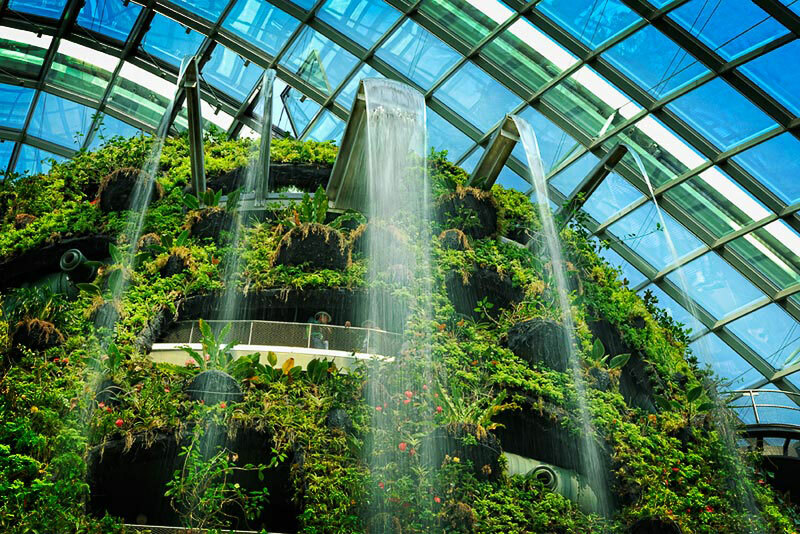 To complete a perfect replica of a tropical mountain forest, Cloud Forest also showcases a man-made waterfall, which is the world’s tallest indoor waterfall. From one conservatory to the next, Gardens by the Bay proudly brings you the Flower Dome. As you enter this fascinating conservatory you’ll feel as if you’ve stepped into another country for you will be surrounded by natural sceneries closely resembling that of regions with cool-dry climate such as the Mediterranean, Australia, South America and South Africa. Other than the display of plants that proliferate in arid environments, you’ll also witness different seasons and themes being reflected in the changing displays of the Flower Field. For a superb marriage between nature and technology, nothing can compete with the Supertree Grove. This grove is home to unique tree-like structures, which scale up to 16 storeys in height and are engineered to perform environmental functions such as harvesting solar energy. 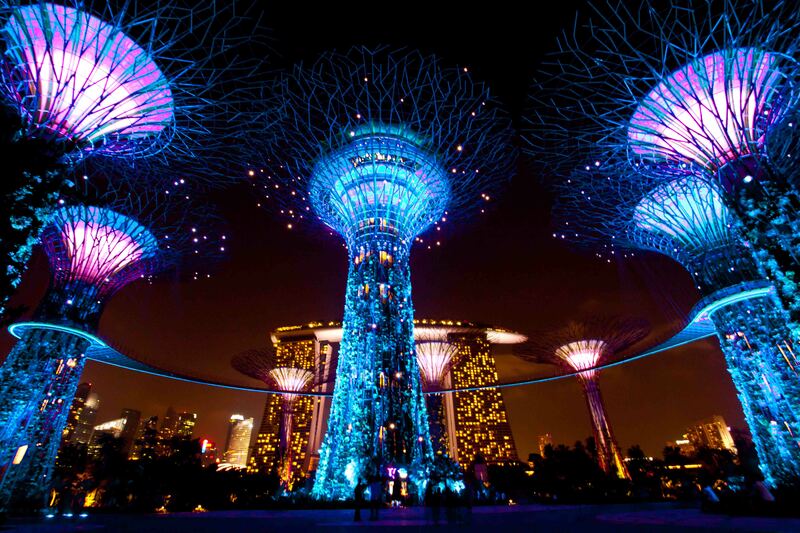 More than 162,900 plants clad these Supertrees and every night you’ll see these trees at their fullest grandeur as they light up and provide a wonderful display of changing colours. Spending your recreational time doesn’t need to break your bank. All you need is a dash of creativity, an open and optimistic mind and a location that’s absolutely free. Talking of a free location, if you want a place other than your home or your friend’s house then you might want to consider going to the park. 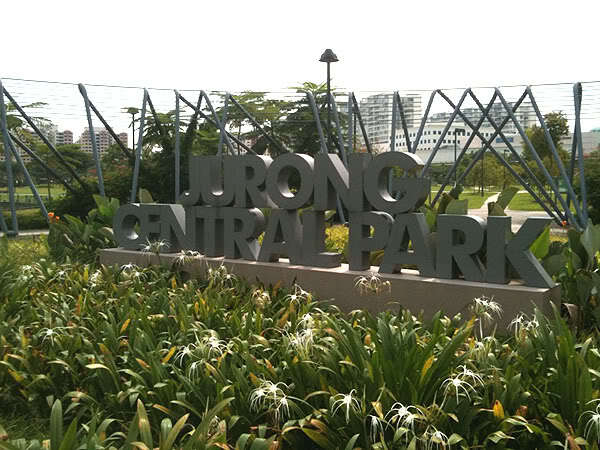 Now why look any farther than Jurong Central Park? Located at Jalan Boon Lay junction with Boon Lay Way, this 8-hectare park has many to offer for a fun-filled day without costing a dime. It is the perfect place to be during a bright, sunny day. You could hang out with friends here and have endless conversations about anything under the sun. Or if you’d rather be on your own then you could sit by the shade of the trees and enjoy the serenity afforded by the verdant landscape. 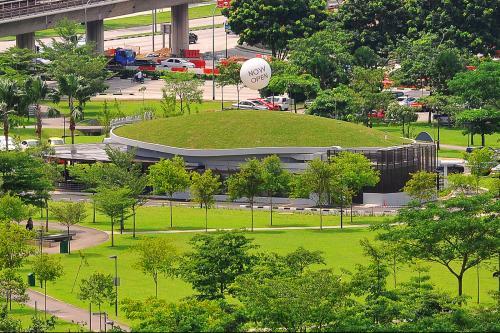 And if you’re one of those with an artistic pursuit then let the scenic greenery of Jurong Central Park be the subject of your art. Using it as an inspiration, you could enhance your painting skills as you translate the natural beauty of the park into your blank canvass. You could also harness your amateur skills in photography as you snap a shot of the wonders of nature unfolding before your eyes. 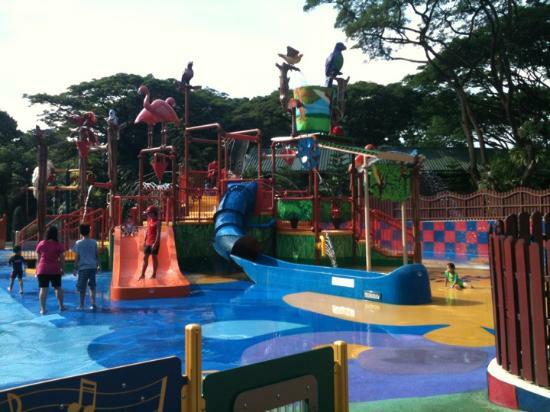 Jurong Central Park also happens to be the first in the nation to have life-sized board-game features like the popular kid’s game Snakes and Ladders. In addition to this the park also features the Dice tower and the Ludo Garden. To add more whimsy to the life-sized board-games, several plants including Calathea lutea and Raphis excelsa are grown in the play area. This way, players get to enjoy the games as if it’s a scene right off a page from Alice in Wonderland. This park is also an ideal venue to stay in shape as it houses fitness stations with exercise equipment available. You could also of course walk, jog, or run around the park for some good dose of cardio. And after all that sweating, you could even make use of the available outdoor shower facilities. And to end a perfect day at this park, you could bask in the beauty of its wetland where several aquatic plants and wildlife species can be found.